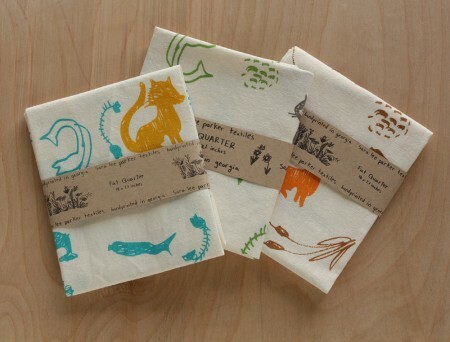 Sara Lee Parker also offers her fabric as yardage and in fat quarter form for sewing, quilting and other DIY projects. If you want to see more, check out her etsy shop. You might not be able to wait till September to purchase from her!